Area covered: The walks range from easy strolls in Cape Town itself and in Simon’s Town to a rugged climb onto the Lion’s Head for a stunning view. 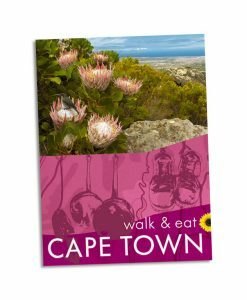 They include the best walks on Table Mountain and a selection of great walks on the Cape Peninsula, from Muizenberg to Cape Point. 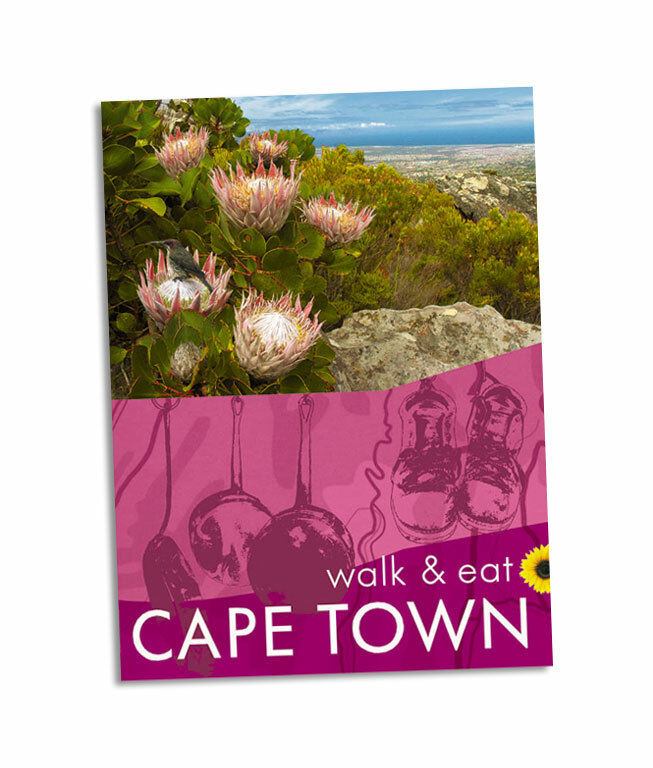 The best months for walking in Cape Town and around are spring (September-October) and autumn (March-April). This pocket-sized full-colour guide book to walking in Cape Town and the Peninsula is designed for walking holidays using public transport. 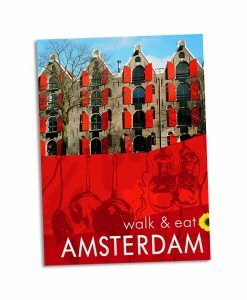 Although all the walks are within the reach of the average rambler, even ‘non-walkers’ will want to stroll in and around the city, so will find the large-scale plans and maps, descriptions of the sights, and suggestions for eating out in Cape Town and surroundings useful. 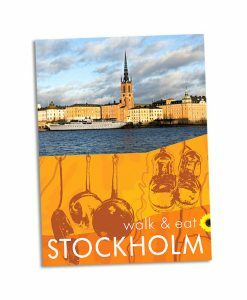 For each suggested restaurant there is a photograph of the décor and one of their dishes, plus sample menu, price guide, opening times, and a recipe for one of their specialities. 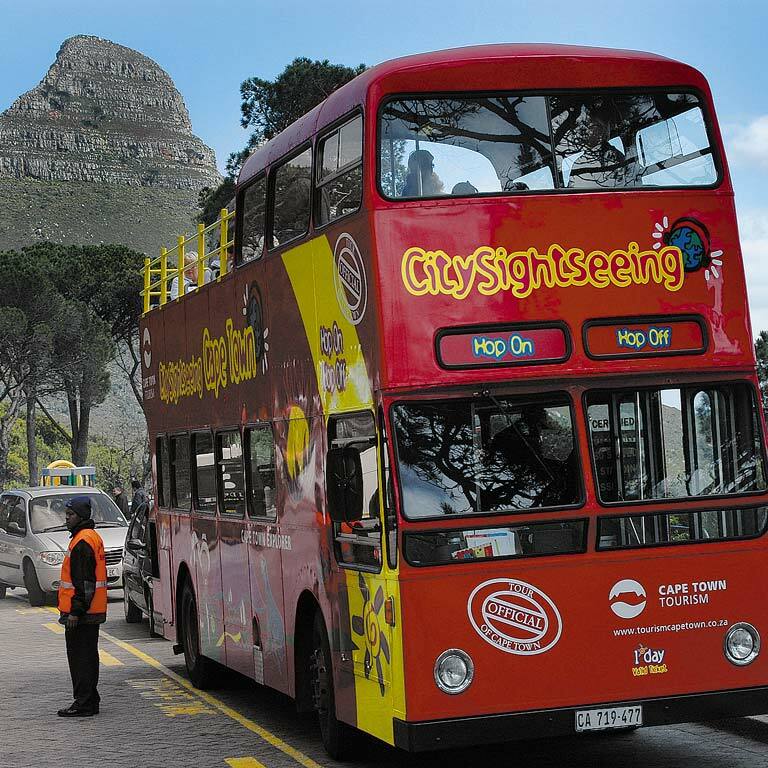 Cape Town, a dynamic, modern, cosmopolitan city, is well-blessed for walkers, with Table Mountain and Lion’s Head on its doorstep, and the rugged Cape Peninsula just a short trip away by public transport. 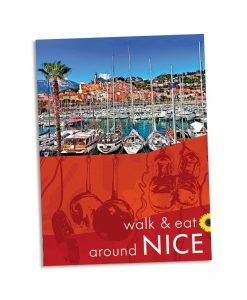 With excellent restaurants, glorious weather most of the year, and daily flights from major airports, it makes a perfect holiday destination.This guide contains enough walks, excursions, restaurants and recipes to occupy most of two weeks, so you can chose whichever appeal to you most. Since the book was written, frustration has grown in Cape Town about the disparity between wealth and poverty, and this has led to some increase in crime. 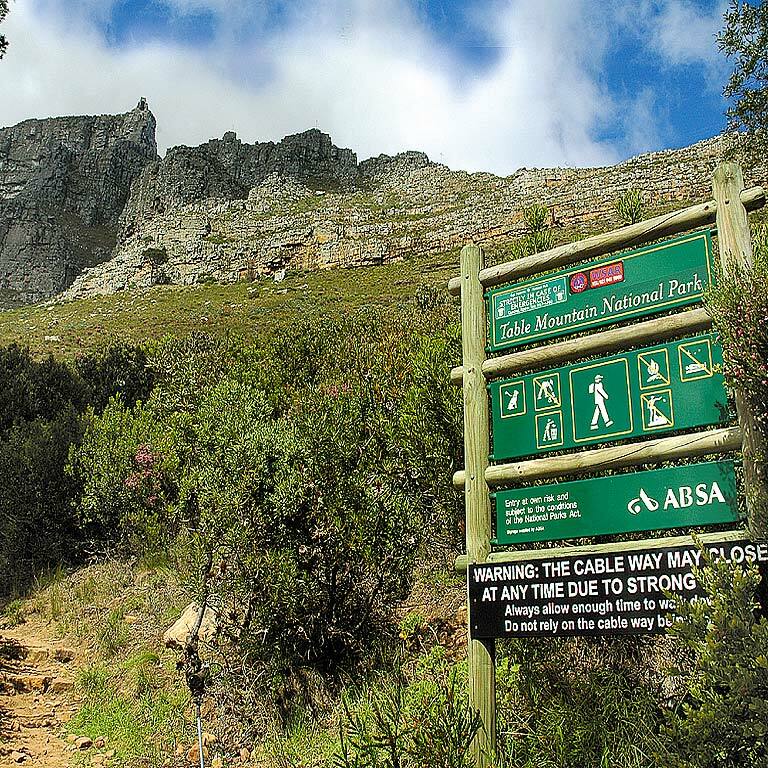 Our general advice still holds, about avoiding some of the poorer areas of the city, and only walking the Contour Path around Table Mountain in groups. However it was still the case on this visit that we never once felt threatened in any of the places we visited, but remember that theft is the major crime, so don’t display cameras, binoculars etc too prominently if you are ‘off the beaten track’. There is now an excellent MyCiti bus service between the airport and the Civic Centre in Hertzog Boulevard (central Cape Town). It runs every 20 minutes during the day from 0510hrs to 2000hrs from the airport, costs R57, and takes between 20 and 55 minutes, depending on traffic on the notoriously busy route. For further information check http://www.capetown.gov.za/en/MyCiti/Pages/AirportShuttleCivicCentreAirportAirportCivicCentre.aspx . The ‘blue route’ City Sightseeing buses have been a huge success, as we predicted. The buses are now double-decker like ‘red route’ buses, so check whether the front of the bus says ‘Red City Tour’ or ‘Blue Mini Peninsula Tour’. A one-day ticket costs R140, and it is worth considering the ‘Go Cape Town Card’ at R410 which includes one admission to the Two Oceans Aquarium and one trip on the Table Mountain Cableway, with ‘fast access’ which is very worthwhile it to avoid the long queue. See note above re the ‘Blue’ City Sightseeing Bus. The bus is now double-decker and now leaves every 25 minutes during the day. 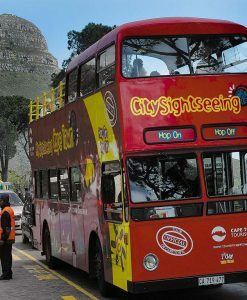 You can add a wine tour from the Constantia Nek stop (free but with a fee for entrance and tastings at the Groot Constantia wine estate). 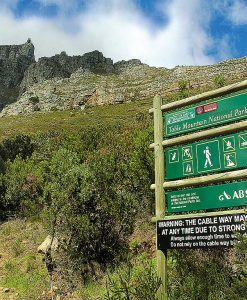 The cable car onto Table Mountain now costs R100 single or R195 return if you buy your tickets at the lower station (but R92 or R175 if you buy tickets online before you go). There are discounts for children under 18 and students. 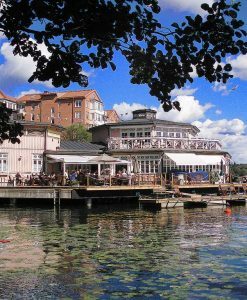 We believe all the restaurants in the book remain open, although we cannot speak for the quality of Café Paradiso (page 42) which has changed hands since we visited it for the book. 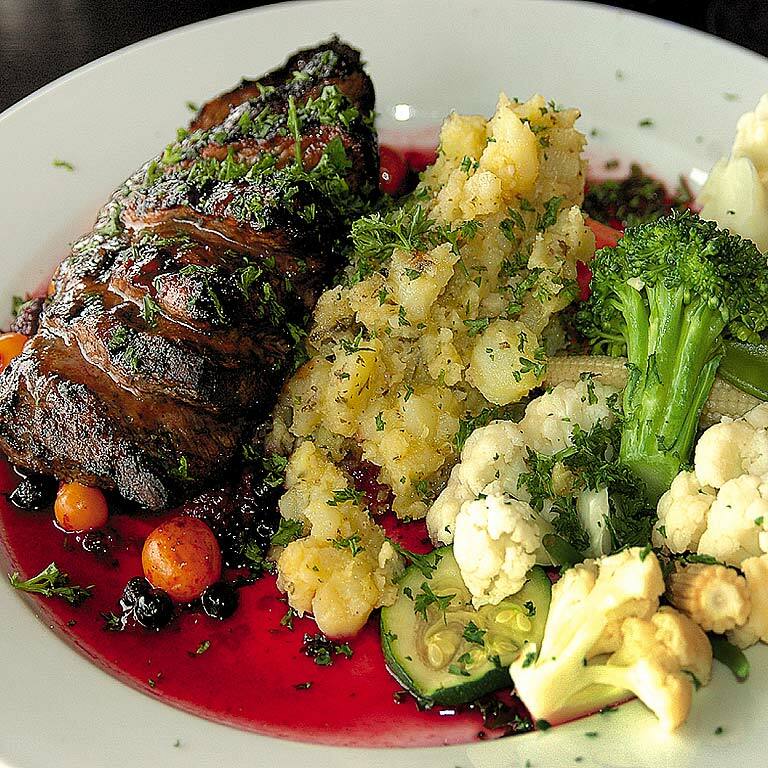 The Restaurant on Table Mountain (page 50) is now more of a café, offering self-service meals and snacks (self-service buffets and salads are charged per 100g), as well as tasty pastries, a good selection of wines and speciality coffees and teas. 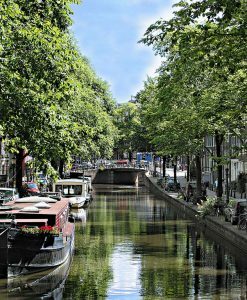 Finding your way around is challenging, but the view from the outdoor terrace is outstanding, and it’s great to see the Café trying to be as green as possible in such a sensitive location. 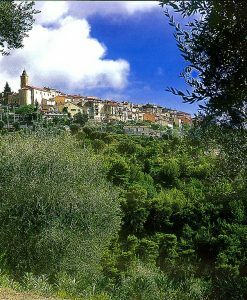 Marimba (page 58) is still highly recommended by locals we spoke to. The Lookout Deck at Hout Bay (page 96) has expanded its menu to include a Sushi Bar, and its breakfasts and platters are delicious. Breakfast or lunch on the deck at Boulders Beach Restaurant (page 128) is still an amazing experience, and the main meal menu from noon to 8.30pm continues to offer delicious variety, although the restaurant may close early on Sundays. It’s also remains a great place to stay with comfortable rooms and the serenades of braying of African Penguins from the nearby colony! 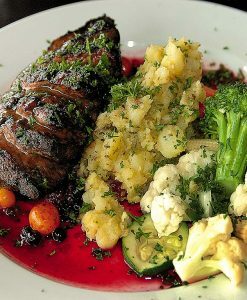 Finally, we reckon that the food at the Two Oceans Restaurant (page 136) was even better on our recent visit (try the delicious char-grilled kudu! ), but do try to sit on the front deck rather than the rather charmless interior of the restaurant.